A well-known creator named McSkillet has killed a mother and daughter by driving his car the wrong way on a California highway at high speed. Heitmann's car was destroyed in the collision while Aileen Pizarro's SUV went up in flames. A number of other cars were also involved in the accident, which took place around 16:30 local time (11 pm) (309 GMT). 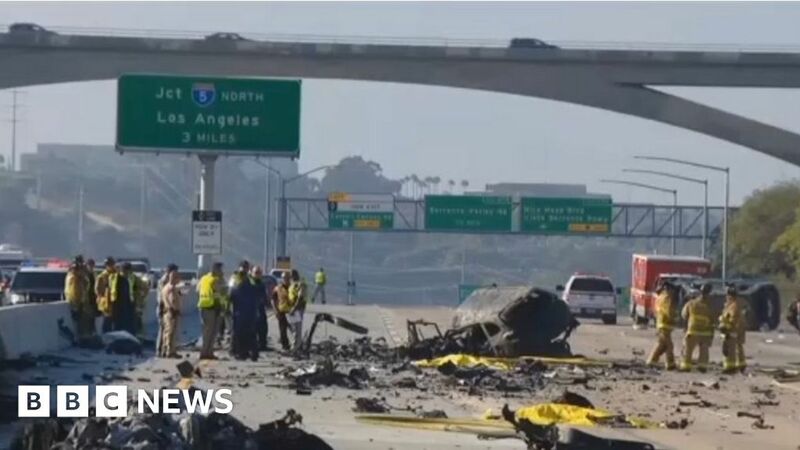 Witnesses told the police that the McLaren had been traveling at more than 100 mph (160 km / h) at the time and headed south on Interstate 805 north. Heitmann's sport car was also involved in an earlier incident where it was driving into the fence of a primary school but nobody was injured. The son of the victim Aileen Pizarro described his mother and sister to CBS News as the "cutest, most caring people in the world".
. He had nearly 900,000 subscribers on YouTube and hundreds of thousands of followers on Twitter. Reports indicate that Heitmann had been banned by the owner of the game, Valve, earlier this year because of a raid on gambling that brought him out of control and cut his income. He had not uploaded a video to his channel for five months. Friends of YouTuber Online said on social media that he was struggling with his mental health before the accident on Thursday. Officials say they are investigating the crash.